Whether you are trying to illustrate the difference you make, explaining your innovations to funders and investors, or putting on an event, you need to get your message across. And the problem remains the same: how do you take a wealth of often complex information and present it simply and effectively to engage your audience. The answer can be to use infographics – and we can help. Infographics is about presenting information graphically and visually using a mix of engaging pictures, charts, diagrams, icons and of course words and numbers. Its an area in which we now have a strong reputation. 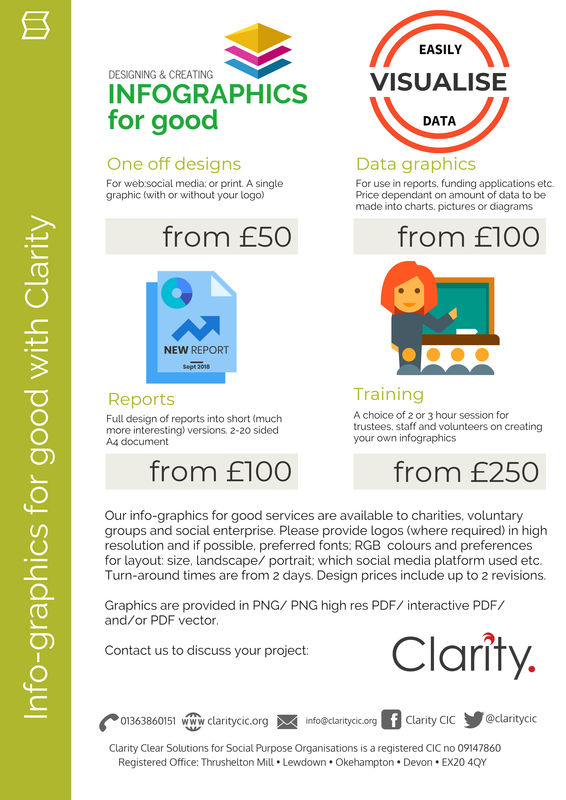 We can design print and digital infographic reports and presentations and train your staff and volunteers.